development contracts and technology transfers. Mr Serra’s one-year secondment to the fully integrated in-house IP team of a major player in the luxury goods industry gave him in-depth knowledge of the legal and business needs of in-house counsels and a pragmatic approach to providing a wider range of protection, exploitation and enforcement options. 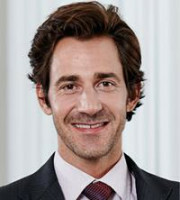 He has played a prominent role in several leading trademark matters. Having studied in both France and Switzerland (French LLB and LLM in intellectual property and new technologies in Grenoble and an LLM degree in 2002 from Geneva), Mr Serra maintains strong ties with French peers and clients. His knowledge of both Swiss and French law allows him to understand and advise on matters involving both jurisdictions. After being a partner for six years with a major Swiss law firm and leading the IP department of its Geneva office, in 2018 Mr Serra joined the boutique law firm House Attorneys, formerly known as LBM Avocats & Associés. Mr Serra is a member of the Geneva Bar Association, the Swiss Bar Association, l’Association Romande de Propriété Intellectuelle and INTA. He is currently co-chair of the IP Committee of the Inter-Pacific Bar Association. He also teaches IP law at the Geneva campus of the SAE Institute, one of the world’s leading educators in creative media industries. Mr Serra is fluent in French and English.